What Can God’s Power Do For You? Not a day goes by that I don’t need God’s power in some area of my life. If you find yourself in need of power, remember God can do anything. All you have to do is trust Him. He promises to always be with you to overcome every obstacle. Sometimes, in the midst of life trials, you and I can forget our “all-access” status with God. It is during these times that He wants all our cares, battles and frustrations to be given to Him. He wants us to ask for His help. God’s power is magnificent, intense and boundless! He can do all things! …and the list is endless. You are His beloved! Whatever you need, seek Him and He will show you His power. 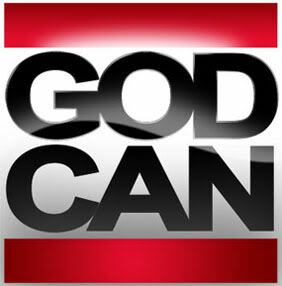 God can. He is ready to do for you!